State of Sweden targetting you when you make break breakfast, then when you eat your breakfast, they targetting your when you make your dinner and they targetting you when you eat your dinner. They start beaming words, sound, and looping these every second. 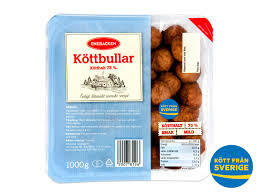 When you eating they start beaning the anxious every second when you eating and this morning when you make breakfast with sandwich with meatballs they started beaming and looping the companies name every second “Enebacken” meatballs. And they starts at same time when you start eating so it´s real time interference. Swedes shadowing in this way at night in same way and stalking you around your apartment and they remote viewing in this way. When State of Sweden targetting you in the morning by beaming the companies name for meatballs, they know when you eat your breakfast, what you have on your sandwich and they even now the companies name for the meatballs and beaming this in real time when you eating. Shadowing/stalking and remote viewing in real time presence. Can Sweden be related to the Star Sirius and maybe the Annuaki or Nordics Reptilians? How many Rulers of this world can exist at same time and be Rulers, authorities and principalities, or are they all fractions of the same energy of darkness, Satan rules this world, the reptilians rules on Earth, The Archons is the rulers of Earth, Organized Gang Stalking patrolling on Earth, and if Annuaki God´s is immortal they may still be here, or is the Annuaki still here and the one´s who rules from the high places. If God´s is immortal does they still has control on this planet? Has the Annuaki created human as workers? Has the Annuaki landed on Earth because they needed a new genetic Matrix? Is humans energy feeding the Moon? Aliens and a monstrous extraterrestrial race, the Reptilians. One of the benign aliens, Enki (a name derived from Sitchin), also known as Satan, and his collaborators created on Earth the human beings of the “Nordic-Aryan” race. 16. They social engineering the human DNA strand to keep human in control in their fear-based frequency range of 2 DNA strand and not 12 DNA strand. When they can keep humans in the lower frequency range they can manipulate reality, thoughts, perception and reality. 17. They are expert in covert disguise and they hide their reptilian spiritual nature and at same time covertly hiding the human true Self or Higher Self, and this mean the reptilians acting like the rulers, because they acting like they are this Higher Self they at same time is hiding from the humans to find. It´s like Satan think he is God and he acting like he is the light of the world. 18. The world is ruled by invisible (covertly) spiritual war (the battle of the mind) and the world is ruled with covertly (hidden) scientific dictatorship and thought science and they uisng covertly hidden electro magnetic frequencis as weapons and they using covert hidden aggression in their psychological warfare and political terorism in their organized gang stalking. This invisible thought science can be find in voice to skull technology, syntethic telepathy, and electro magnetic frequencies. And in State of Sweden they targetting your mind with these wepaons day and night. 19. Ephesians 6:12 says; For our struggle is not against flesh and blood, but against the rulers, against the authorities, against the powers of this dark world and against the spiritual forces of evil in the heavenly realms. As a souls entry point descends onto this planet much of ones Divine Ascension Blueprint comes forth as ones singular consciousness brings in archives of Celestial knowledge both on and off world. The off world intelligence is a fabric woven from many star systems and not from the man made version based on false religions and governments. The being itself picks and chooses by free will on all levels with no limitation. Limitation in representation is mans version tainted by false teachings and doctrines placing a yolk on truth. The man made programs running across the globe driven by false data form a shadow in government mapping life forms to create a false agenda designed to control and manipulate on many levels including thought. It is not light or love based and is threatened by ones Celestial Heritage which cannot be taken away and remains immortal. As one incarnates onto this planet one brings forth Avatar abilities which take on many forms. The mystical force which cannot be controlled by these entities is a power of which in the end will rise and destroy the dark agenda. Like an Ivory Dragon emerging from the ocean of Christ Consciousness it shows itself revealing the truth beyond the form. Time created by man was used in order to trap collectives in consciousness and does not exist on any other planet or star system including Earth or Gaia. Cyber collectives are indeed part of a virtual trap, mapping and lies. They are indeed compiled of false collectives called people targeted and mapped behind the scenes. There are various agencies that contain a dark agenda who wish to not only experiment yet create a simulated race or man’s version of an extraterrestrial species. These programs intrude in various ways. Black satellites cloaked under the radar using remote devices. Conscious remote viewers and live agents are also used. If you are able to decode them like myself one can sometimes become a threat to the lies and covert operations agenda. Their alternative at times is the mapping and tagging as a silent assault in hearing voice to skull called harassment. At the present time the Anunnaki are the main threat to man-kind on planet Earth. Their goal is to reverse the DNA code sequence by blocking the Earth grid time matrix form-holding the 12-dimensional spectrum that corresponds to the 12’h strand DNA. The reptilian unplugged ten of of humans original 12 DNA strands. The Anunnaki visited Earth from Sirius A. The Anunnaki thus created a hybrid human-Anunnaki, who was referred to as the Nephilim, around 950,000 years ago. These reptilians consider themselves one of the oldest races in the universe and superior to other species. They live a life based on fear and one which does not honour other life forms. They live off the nourishment of fear in others. They have set Earth up with devices that can broadcast and magnify the emotional turmoil on this planet. The resulting turbulent, chaotic energy is absorbed by them and sustains them. 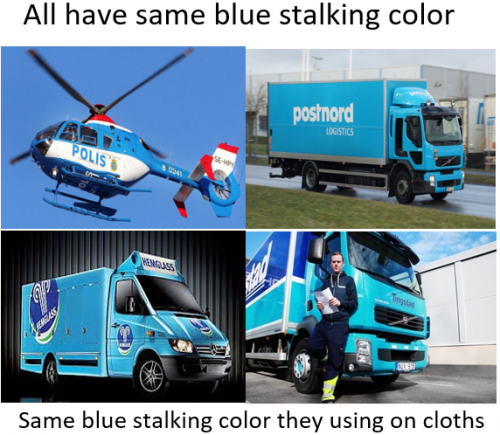 When you see how Swedish organized gang stalking taking place in State of Sweden and things seems to be organized it may be these Swedes is the Nordics Reptilians and Annuaki, it does not mean they are, but they could be. What powers rules on Earth? Is there four rulers on Earth or is there one frequency – the fear frequency. If Satan represents a blueprint of the beast, to which blueprint has the human 2 DNA strand been manipulated to? Has the reptilians social engineered the human genes to the lowest level of consciousness – this state of the mind represents a dream-state or a form of asleep stasis. This is a holygram of reality. How can humanity be ruled by these powers and rulers? The Nordic Reptilians/The Aryan have infiltrated everything – and manifest in the psyche five-sense frequency. Reptilian/Aryan race are the force behind the repression of human populations. The reptilians has infiltrated and enslaved governments around the world, industry, society, royalty, and they controls the human mind by keep them tuned into their range of fear-frequency. David Icke says; “The reptilian brain in this present form is not a natural or normal but a product of reptilian genetic manipulation”. The reptilian breeding programme appears to have produced an Annuaki -human – hybrid (Adam) around 200.000-300.000 years ago. This breeding programme is the Moon Matrix and is tied to Saturn and these frequencies is then tuned into humans. This state of mind is s dream-state and a form of asleep stasis. 1 Corinthians 15:51 says; ” I shew you a mystery; We shall not all sleep, but will be changed (transformed). When this awakening starts the world starts hate you’ then ostrasizing and persecuting follows and the collective scapegoat is created. John 15:18-19 says; If the world hates you, keep in mind they hated me first. If you belonged to the world, it would love you as it’s own, but I have chosen you of the world that is why the world hates you (this is today’s organized gang stalking). 1 Corinthians 15:49 says; And just as we have borne the image of earthly man, so shall we bear the image of the heavenly man. The human mind is enslaved in a dream state and and human living inside the matrix in some form of stasis of asleep, and people don´t know the matrix exist, and Satan exist or organized gang stalking exist, and when people awakening or get awareness they are delusional. When people get awareness the organized gang stalking starts a psychologial warfare to destroy the awakening people; and starts drive them to madness or to suicide. So in this world real knowledge about this reality means the person is “delusional”, and then does the organized gang stalking start gaslighting and drive them to madness. This is the design of this biological destructive mind-computer world. When people, controllers in this democracy starts drive people to madness or to suicide this reveals there is a non-human biological computer program that control their minds in this Matrix. It´s wickedness to drive someone to wickedness or it´s madness to drive someone to madness. They do not want us to reconnect with the universe. The Reptilian race manifests in the psyche through the five-sense frequency (and organized gang stalking tying to control and interfering with the human five-senses). Archons act on our five senses, with which we, human beings, can perceive just 5% of reality, a small layer of life that we follow in time-space from birth to death. Their game is simple, like a video game, they send us information necessary to create a life story which is normal for us, we identify with it, creating it in reality. The Archons know the universal and the quantum laws: that’s why humanity is contained in a single collective mind, a wave of unconscious energy, which creates reality in unison. For the Archons, it is easy to move human masses from one observation point to another: they send information and data to the collective mind, which by agreeing and accepting them as truth (consent), focuses his attention on these symbols, creating reality; therefore the focus of the quantum observers creates (a reality) in the matter. Organized Predator Stalking is Satanic Predator Stalking – this predator stalking mentality – is the roaring and stalking Satan mentality (Satan is this predator stalker on earth) and predator stalking is non-human activities (spiritual powers of evil darkness in high places) – and Nordic reptilian stalkers. Swedish Gang Stalkers has the ability to shadowing and remote viewing and using this to terrorizing in their organized predator stalking. This is the evil, satanic, demonic and sadistic traits of the swedish reptilian brain of organized predator gang stalking. Satan´s virus programming means he is trying to re-create us in his own image since day one. Satan is ”the prince of power of the air” radio technology and the RFID -chip means just this (RFID – Radio Frequency Identification Microchip). It takes personal will and commitment to understand how fear works in the hidden shadows of darkness, in order to find the strength to fully transform it into light. All of us have the internal power to transform darkness into light. Being courageous enough to face our deepest and darkest fears and bewilling to put forth the effort to overcome them, is the path we all must take to secure our cinscoiusness freedom during the Ascension Cycle. Satan and the Anti-Christ are superstitious understandings representing the shadow side of man and woman. Humanity has an ego and a alter ego. Your soul´s ego is pure and is working duplicate of the loving, loyous, compassionate, and powerful manifesting God that created it. Your alter ego is riddled with fear, anger, againstness, separation, scientific and religigous dogma and whole host of lower vibrational attitudes and emotions, as well as limiting mental concepts as Satan. Satan and the Anti-Christ are representive of the shadow side of humans. The Antichrist is all that which is against the Christ consciousness coming forward within the individual. It is all that which is altered from the Christ consciousness, and it resides within the soul as the alter ego. The great war between the Christ and the Antichrist is the war between the soul´s true ego and the alter ego. It is a war within self. The anti-Christ was created in direct opposition to the law, and this total self-will ego/spirit knew nothing but evil and manifests itself in a mighty fortress called ego (satan´s mind prison is the ego-prison and more ME, ME, ME people thinking they imprison themselves or are caught in a narcissistic culture). The mind was never to give orders on its own, only process the commands of the Creator´s Spirit, therefore, was what satan (the hacker) targeted for a specially designed virus, which we shall call the ”pride virus”. Here is more of opposite mastering; Mind of Satan (Darkness – lower self) or Mind of Christ (Light – higher self) and Satan rules on earth with his opposite values and beliefs. Root chakra – The demon of this chakra is fear. Threats trigger what´s known as the ”flight or fight” response and we go to survivel mode. Heart chakra – The demon of this chakra is sorrow. While sorrow is a necesarry vehicle to express emotional paon and grief, too much can weight upon this chakra so heavily that it can close it down, which serves only to disconnect is from others around us. Third Eye chakra – This is the demon of illusion. Disorted perceptions act like a funhouse mirror. They prevent us from seeing reality – we´re seeing only what we want to see. Crown chakra – This is the demon of attachement act like a anchors that weigh us down and prevent us from moving forward. Gangstalking is a form of obstructing with a Man-in-the-Middle Attack on every level of the targeted indiviuals life. Machine Based Telepathy voice to skull communications, Multidimensional Channels and Mediums in frequency, conscious remotes Machine based telepathy or synthetic telepathy is used in certain covert intelligence areas beyond classified and Top Secret.